Cool Change is an awesome 54 ft sailing catamaran, offering you a totally unique way to experience New Zealand's world famous Bay of Islands. Enjoy level sailing, all-round visibility and heaps of comfortable space, inside and out. 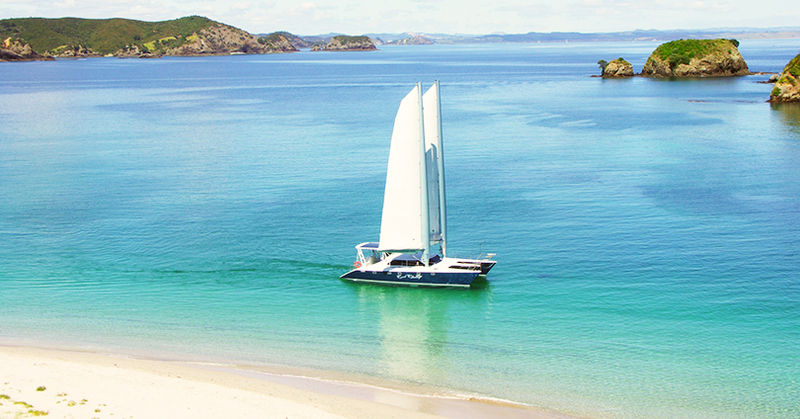 Our charters are ideal for a day on the water, an overnight stay or extended sailing holiday. Only private boat charters are offered on this elegant vessel. She is very stable and does not lean over when sailing making it an enjoyable experience even for the less confident. Cool Change was custom-built with loving care in the Bay of Islands New Zealand by her owners and crew, Don and Marilyn Logan. Cool Change is operated under a New Zealand Safe Ship policy. She is regularly inspected and carries a full range of safety equipment.